Take taco night to a new level of flavor! 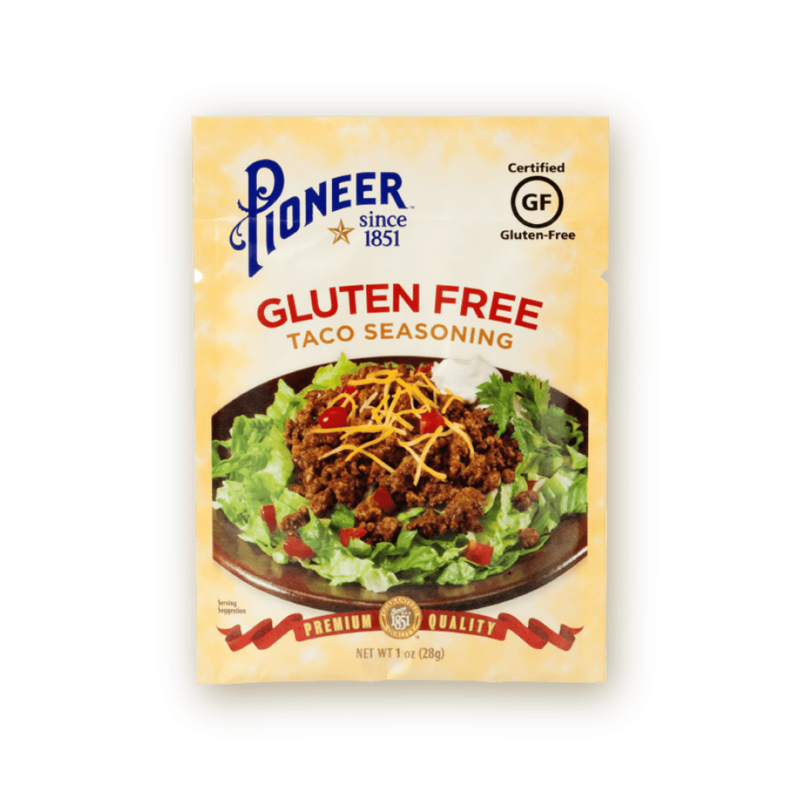 Pioneer Gluten-Free Taco Seasoning helps you say goodbye to combining multiple seasonings, our taste professional have crafted the perfect blend of spices. Enjoy the zest and kick of spices that pairs perfectly with all the trimmings of a great taco night. 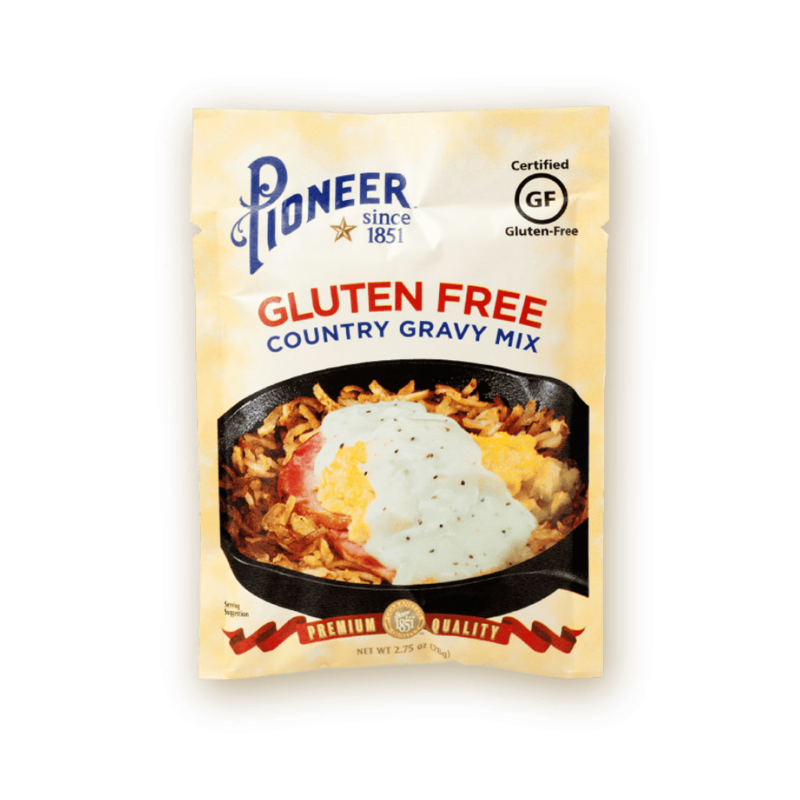 DRAIN browned beef or turkey STIR in Pioneer GF Taco Seasoning and water. SPOON 2 Tbl. ground beef into taco shells. CONTAINS LESS THAN 2%: NATURAL FLAVOR, LIME GUM ARABIC, MALTODEXTRIN.